I hope you're having a nice day? 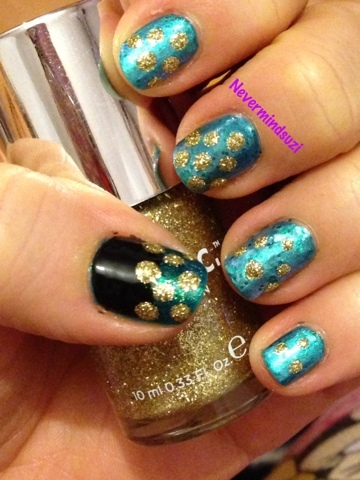 I'm not sure what I was trying to achieve when I started this mani but it kind of looks like a pot of gold. 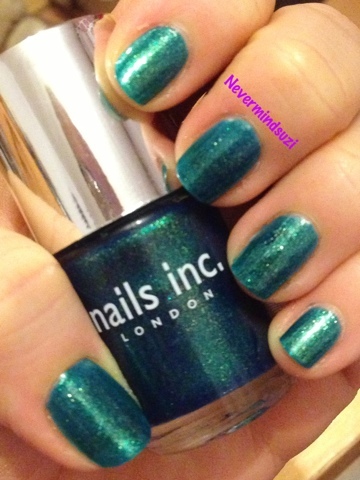 The beautiful Nails Inc Regents Park Road in all it's glory. 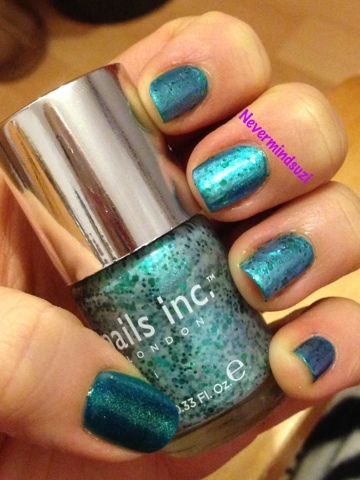 And also the pretty Fernshaw Road from the Nails Inc Stardust Collection. I like your thumbnail best. 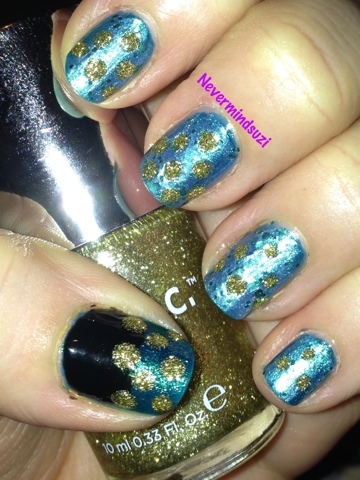 Cute color combo.